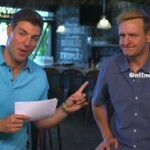 EXCLUSIVE: Winners Tell All - Live Chat with Hayden Moss hosted by Jeff Schroeder! Big Brother Spoilers > Big Brother > Big Brother 16 > EXCLUSIVE: Winners Tell All – Live Chat with Hayden Moss hosted by Jeff Schroeder! The Big Brother 16 live feeds come with exclusive members only content including live chat sessions with your favorite big brother alumni. On June 10th, 2014 at 3pm Et / 12pm PT there will be a special event for the big brother fans that have signed up for the Early Bird discounted live feeds. A “Winners Tell All” Live Chat with Big Brother 12 winner Hayden Moss will give big brother fans an opportunity to interact with and ask the questions you’ve been dying to know that answers to. The live chat will be hosted America’s favorite Jeff Schroeder who was a house guest on Big Brother 11 & Big Brother 13. Since being on big brother Jeff Schroeder has been the one to interview the newly evicted house guests. Big Brother Live Feeds Early-Bird offer now available – Save 20%! We’re excited to announce the Big Brother feeds are live starting today. Subscribers can catch up on videos from previous house guests and winners. There will also be some surprise live chat events with special house guests that you’ll have to login to see who! Plan to check in on Tuesday, June 10 at 3p ET/12pm PT for “Winners Tell All” live chat event with winner Hayden Moss. All of this exclusive content is available only to subscribers of the Live Feeds. Right now subscribers who sign-up for the Early Bird season pass can still save 20% for a limited time. PLUS More being added as we get closer to the premiere on June 25th! Any advice on a good viewer to D/L to watch the feeds this year? I used the B3V BB viewer last year but I do not want to download it again if something better may be available. I usually use the website, some years I use VLC. B3V BBViewer gave me some grief last year. I am not a Boogie fan except for when Ian told him to get to stepping. Boogie is an ahole and is not even in Dr. Will’s class. I’m not a Dr. Will fan but he is a great player. Boogie! As much as I love Dr. Will, Boogie’s win is underrated. He did a lot of work in S7 that goes unnoticed by a lot of fans. People can hate Boogie, but he did pull his weight in CT. 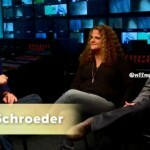 So sick of Jeff Shroeder..he needs some interviewing lessons. Big Brother 16 Live Feed Exclusive Bonus Content will be available June 4th! Big Brother 16 is coming to you in HIGH DEFINITION!